The Integrative Nurse Coach Certificate Program begins this May in Boston, MA!. What A Match! School Nurse Practice & Coaching. School Nurses are uniquely positioned to have a positive influence on students, families, teachers and communities. Nurse coaching provides the tools and skills to approach many of the challenges faced by families daily. 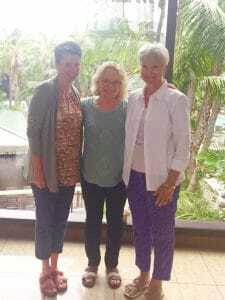 The National Association for School Nurses NASN held their annual conference in San Diego, 6/28-7/2. Ann Cooley-Carlson, Emily Brown & Larraine Bossi presented a pre-conference day, Intro to Nurse Coaching tailored for school nurse practice. Fifteen school nurses, school nurse administrators and school nurse educators from ten states joined us to learn about nurse coaching and the importance of self care. Coaching practices throughout the day allowed the participants to experience the power of intention, powerful questions and skillful listening. Ideas to weave coaching into their practice bubbled up, including mentoring new school nurses, a model for supervision, eliciting students’ stories, and using motivational interviewing techniques. At the end of the day, Emily Brown had a chance to talk about the grant she obtained to do coaching with parents and staff in her school community in Maine. We had a wonderful time planning & presenting together, also exploring San Diego. A great experience!